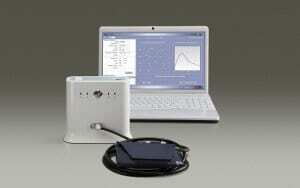 SphygmoCor® CVMS | EINST Technology Pte Ltd. The SphygmoCor CP system includes pulse wave analysis (PWA) software only. During a PWA measurement, a 10-second snapshot of the radial arterial pressure wave is measured using a tonometer. The SphygmoCor software derives the ascending aortic pressure wave, substantially equivalent to the pressure wave measured by an invasive catheter. From the aortic pressure wave, a number of valuable cardiovascular measurements are determined, including central aortic systolic pressure, aortic augmentation index and central pulse pressure. The SphygmoCor CPV system includes both pulse wave velocity (PWV) and PWA software. With the SphygmoCor CPV, PWV measurements can be taken between any two pulse points in the body; however, aortic PWV, measured with readings at the carotid and femoral arteries, has been shown to be the most predictive of cardiovascular risk. In addition to pulse wave velocity and pulse wave analysis software, the SphygmoCor CPVH system also provides heart rate variability (HRV) software. The SphygmoCor HRV software provides analysis of both time and frequency domains, and measures of sympathetic and parasympathetic activity. The system allows standard HRV measurements to be measured over 6 hours, as well as Valsalva and standing maneuver HRV measurements to be performed.